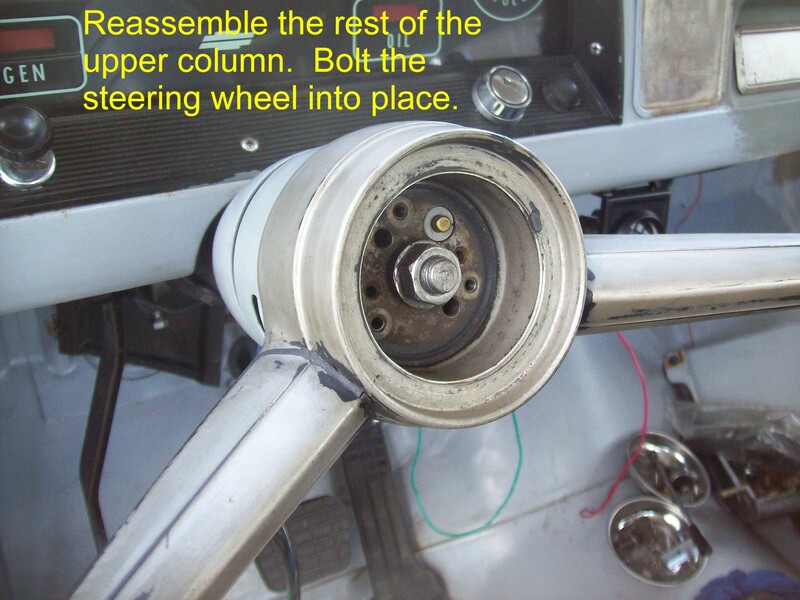 Moving the steering wheel closer to the dash gives me a little more driving comfort. 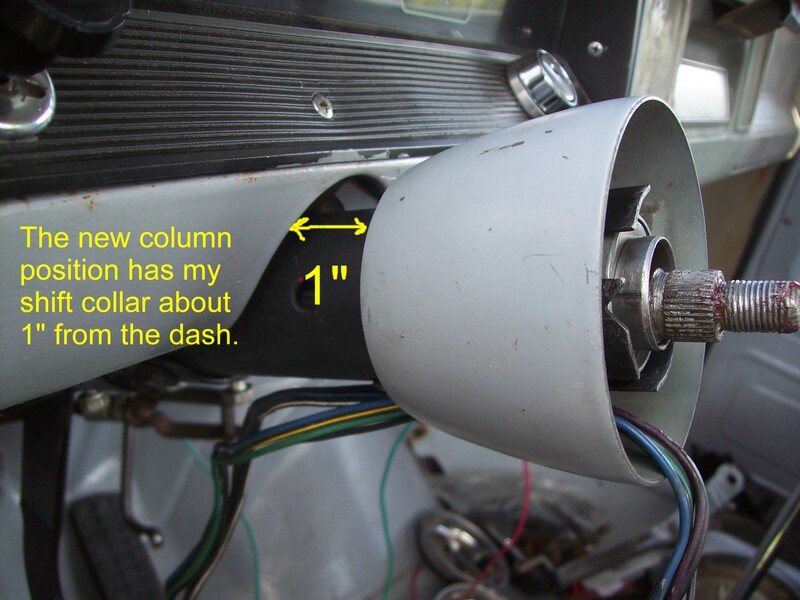 I was able to move my steering column 3" towards the dash because I deleted the column shifter and now have a floor shifter. 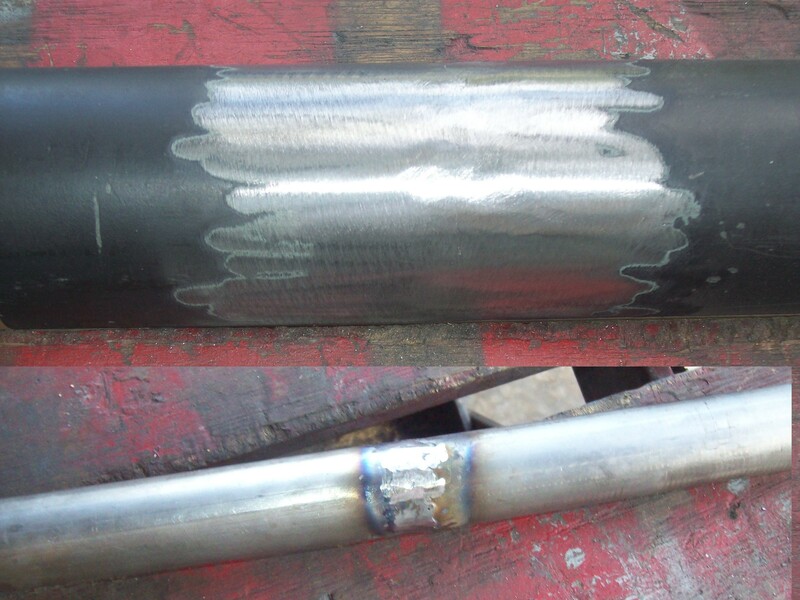 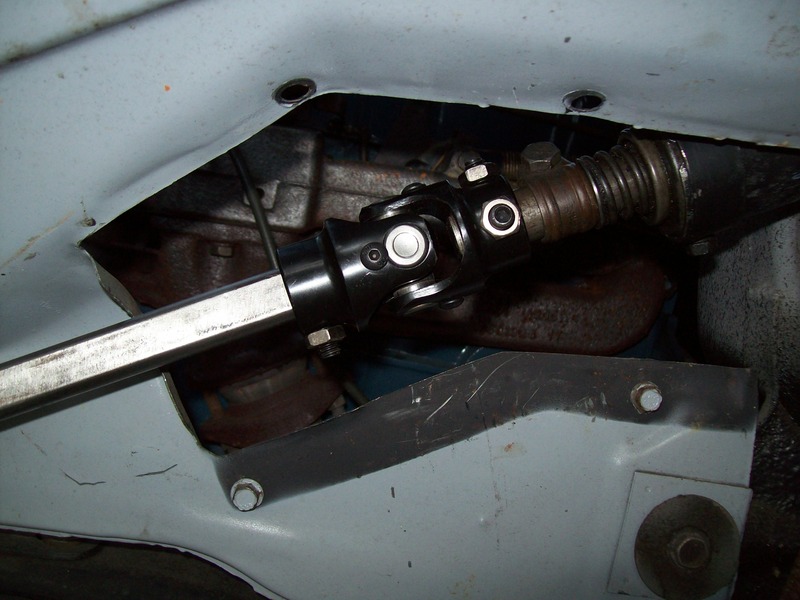 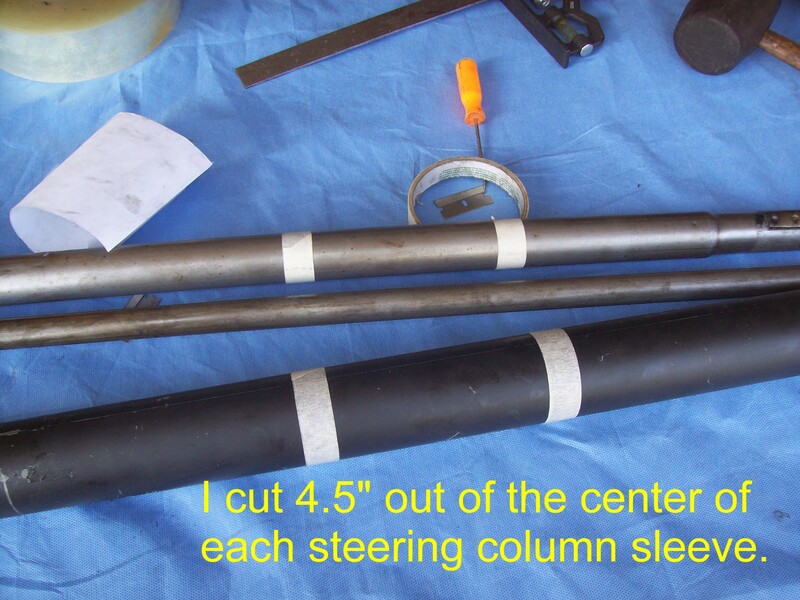 This modification included upgrading to a safer telescoping lower steering shaft. 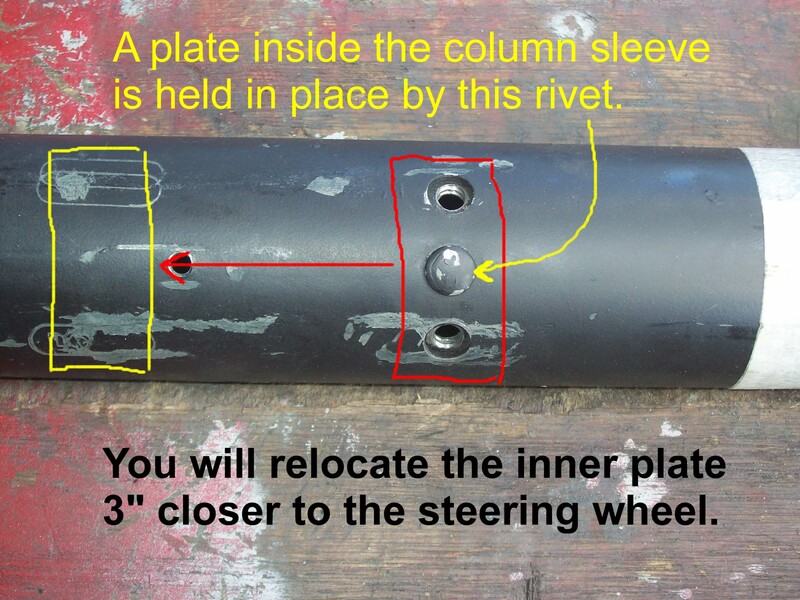 The first section shows how to move the steering column closer to the dash. 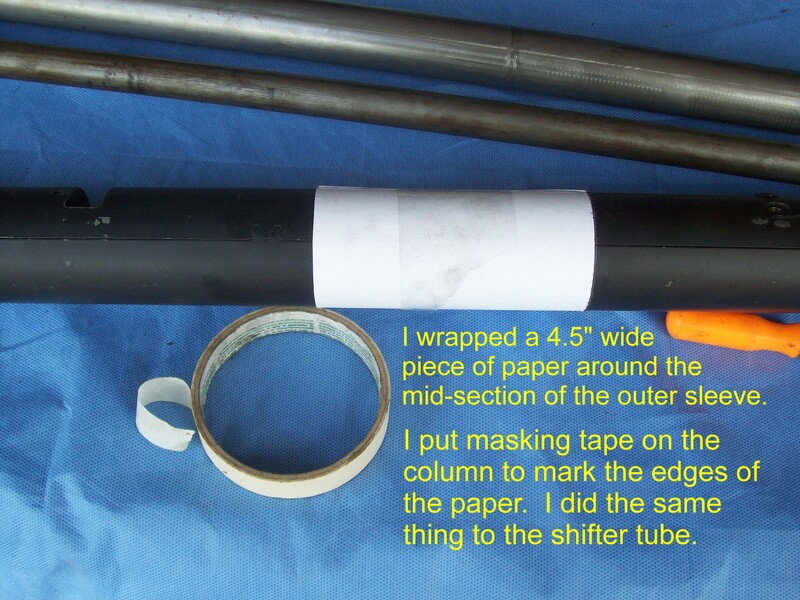 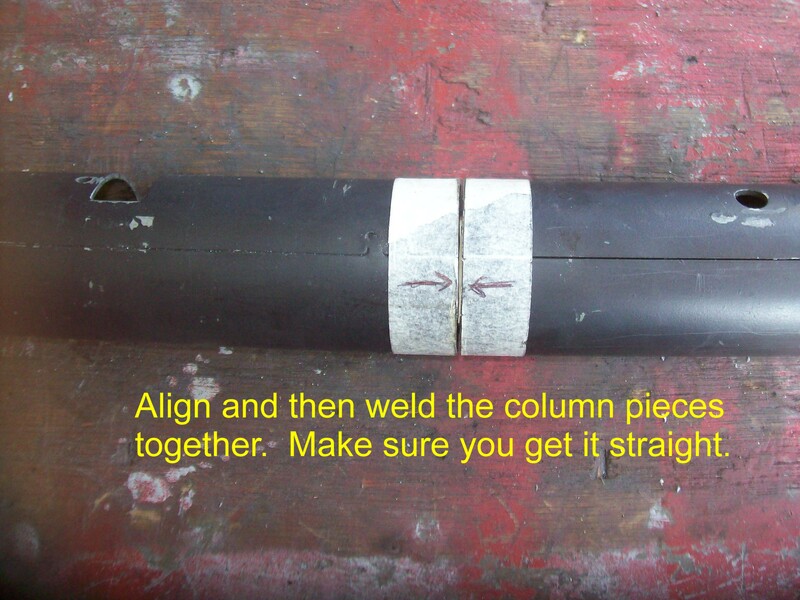 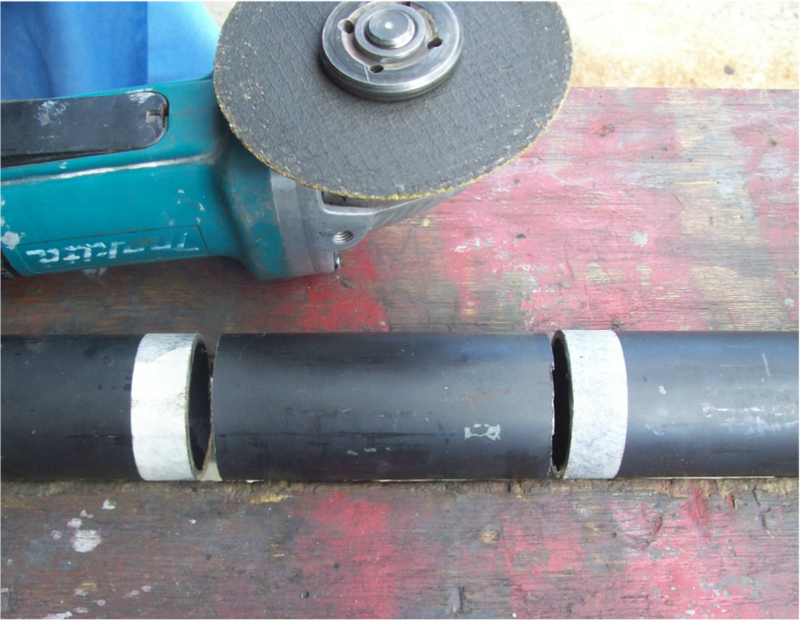 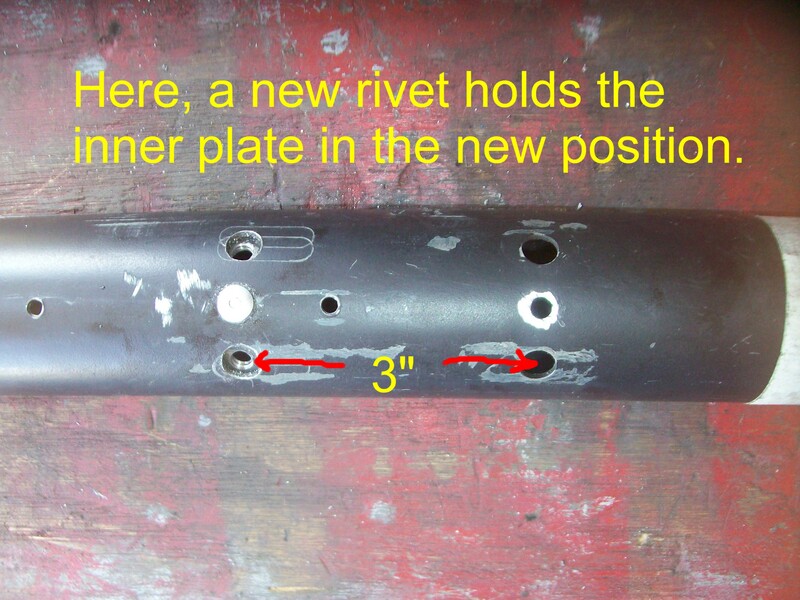 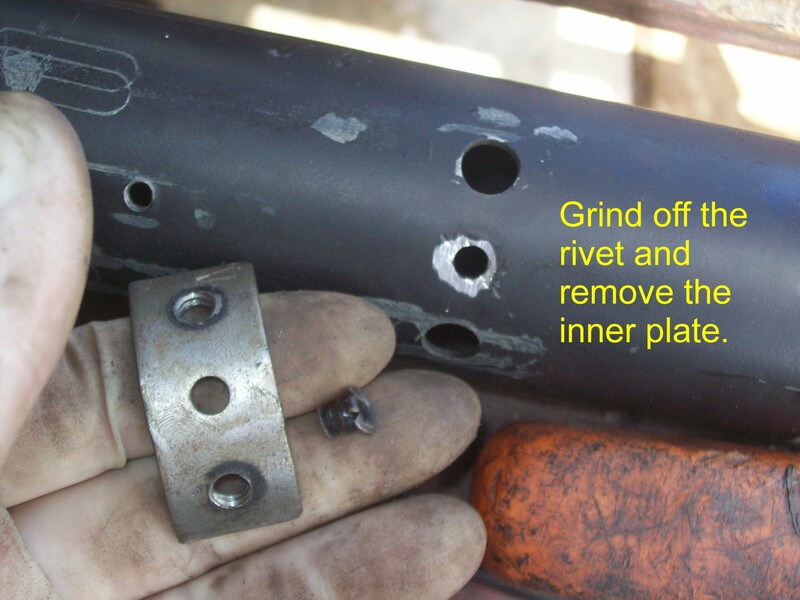 The second section shows how to upgrade to a telescoping lower shaft. 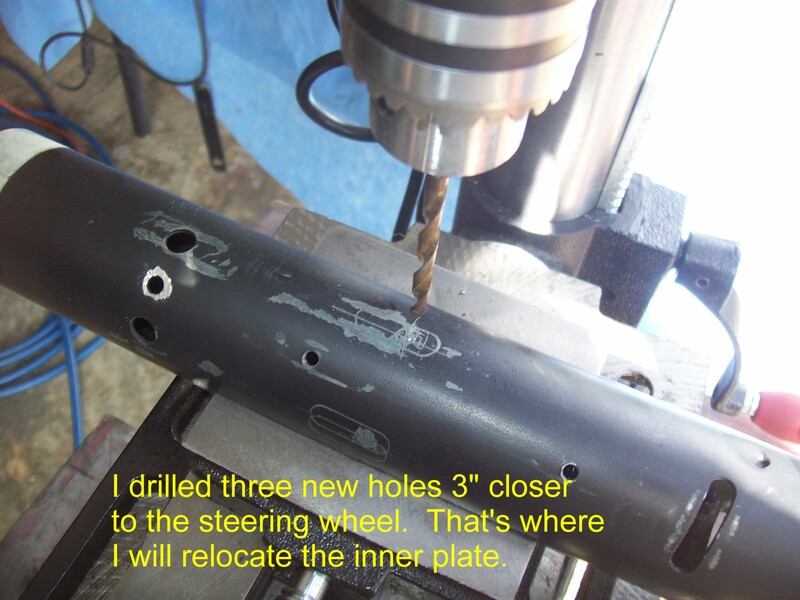 Section One - Moving the steering wheel closer to the dash. 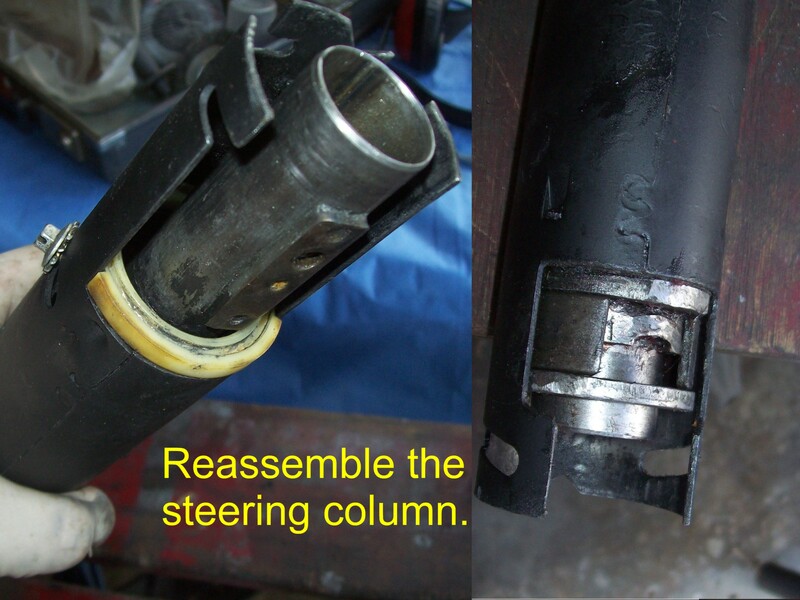 These photos show how I moved my steering wheel 3" closer to the dash. 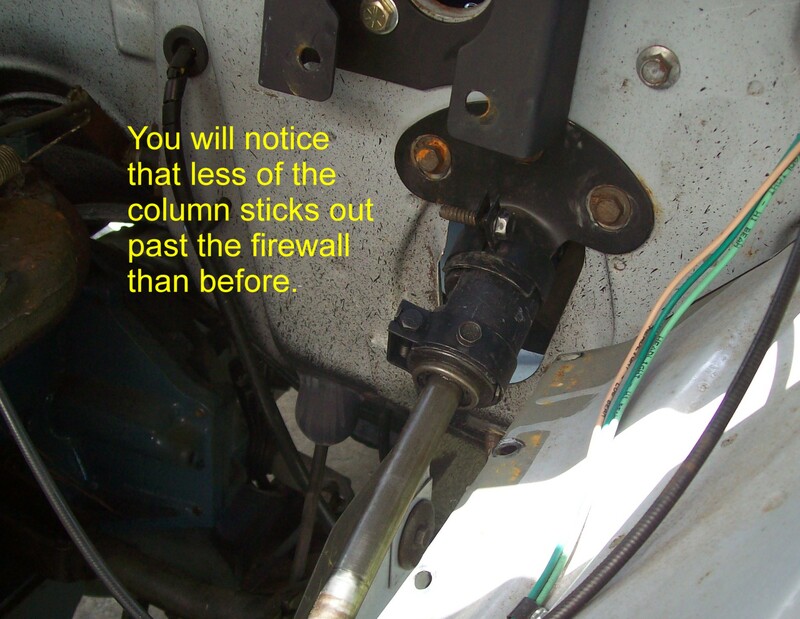 **IMPORTANT** If you keep your column shifter, then only shorten the portion of the column that's INSIDE the cab. 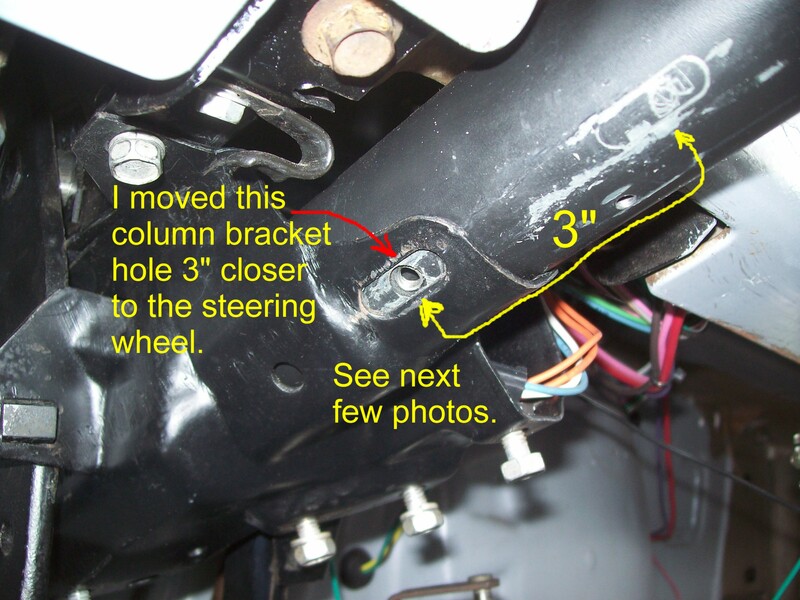 The portion of the column and shift linkage in the ENGINE BAY shouldn't be changed. 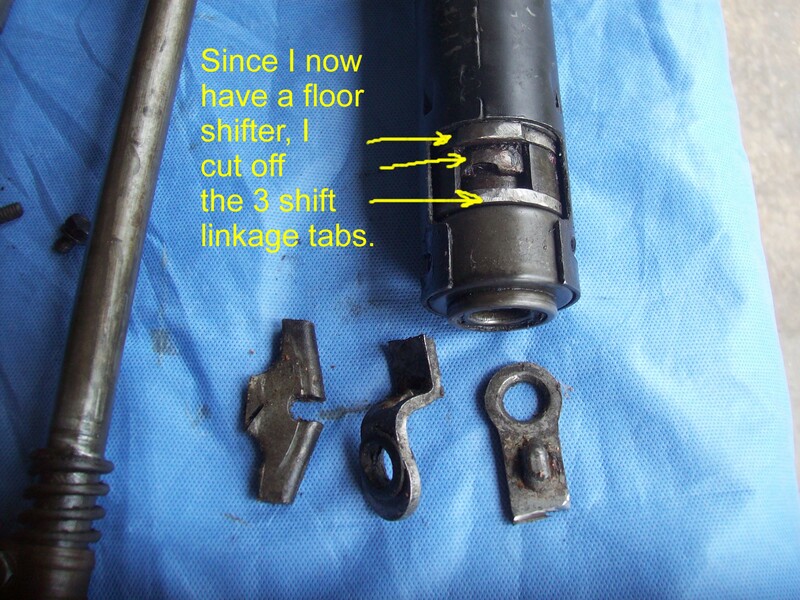 Also make sure you have the room needed to shift without hitting the dash. 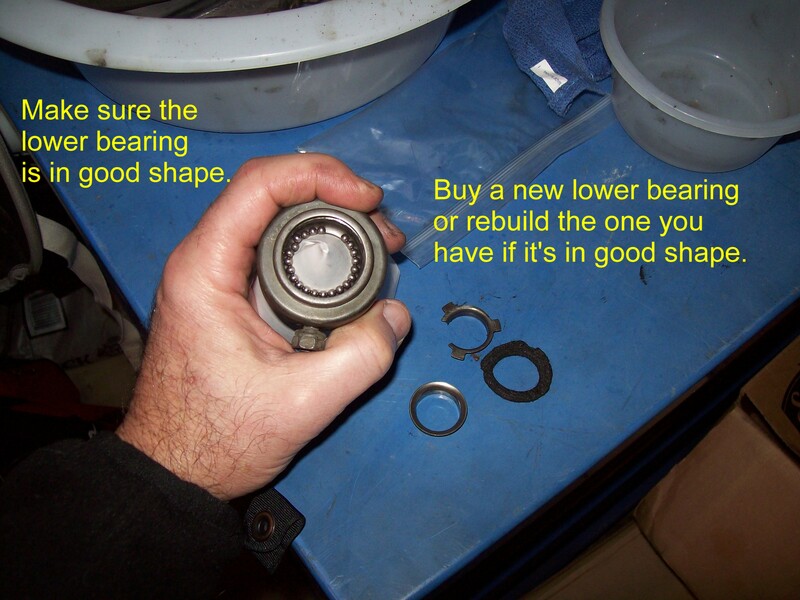 Plan and measure accordingly. 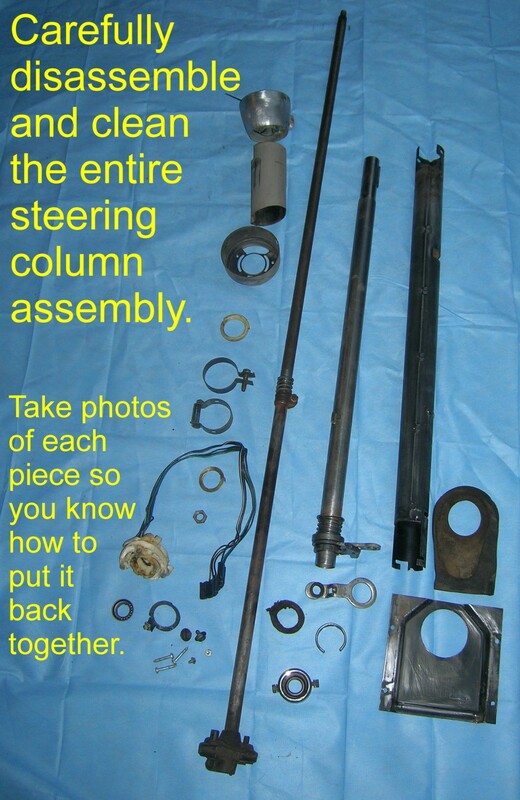 Disassemble and clean all the steering column pieces. 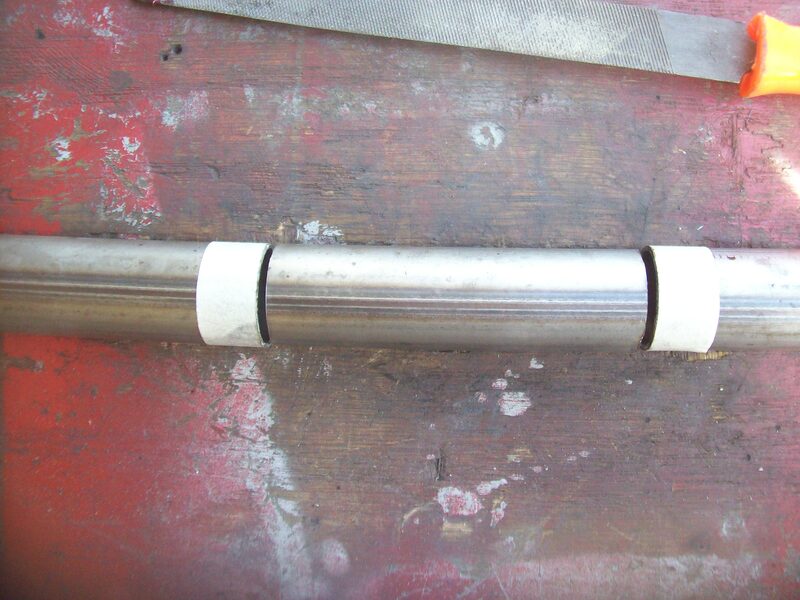 Next, we'll remove 4.5" from the middle section of the outer sleeve. 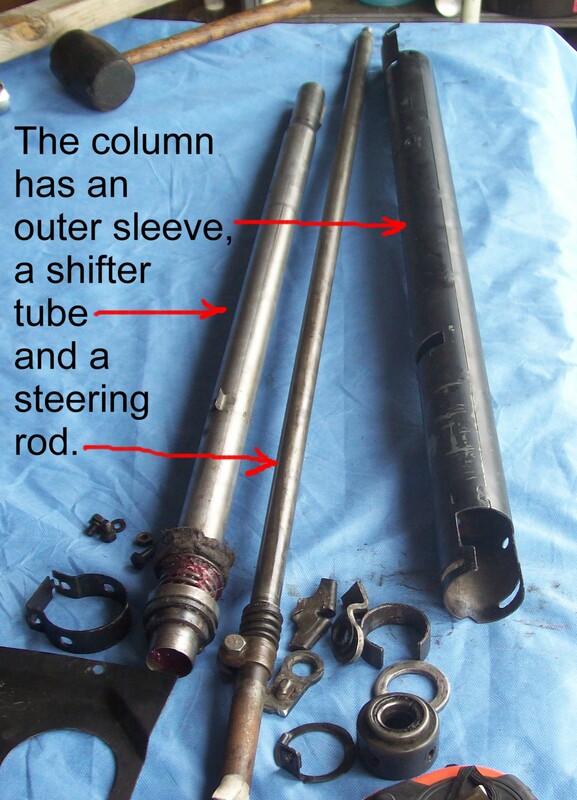 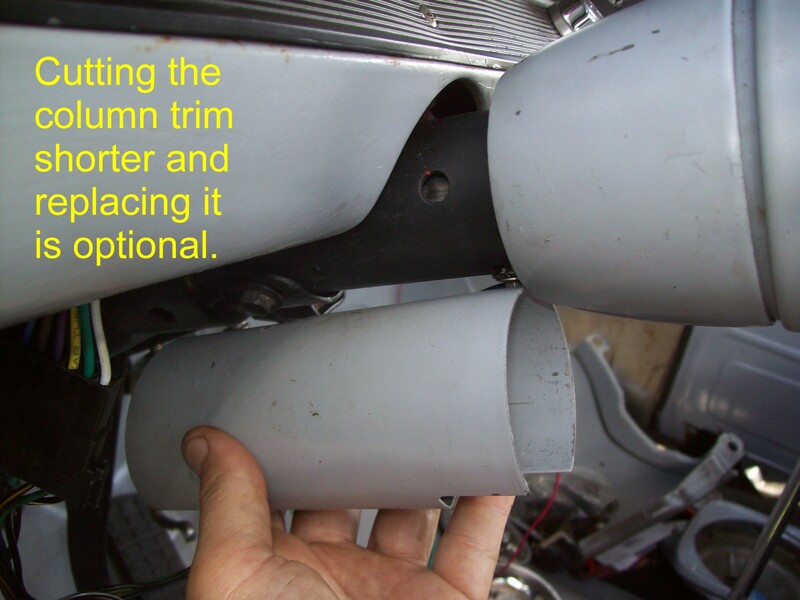 Then we'll do the same thing to the shifter tube.